STOPIt is an online reporting tool designed to deter and mitigate bullying and cyber abuse, consisting of an app and a back-end incident management system for school administrators. Stopit can also be accessed via the web through the image above or this link StopIt. Select this link StopIt Tutorial Video to learn more. Kopperl ISD is excited to inform you that our school has enrolled with STOPit! STOPit is an online reporting tool designed to deter and mitigate bullying and cyber abuse. Our students will have access to the STOPit mobile app, which has two simple but powerful features. Report can be used by students to report incidents to school contacts anonymously. Get Help can be used to engage in anonymous two-way communication with school contacts. Both Report and Get Help empower students to stand up for themselves and for one another. Downloading an app from the App Store or Google Play and using the corresponding access code for your student’s campus. Through a link on the Kopperl District Website. Students have the power to help put an end to harmful and inappropriate behavior they see online through social media and other means. They can use STOPit to reach out for help if they or a peer are facing a personal crisis or experiencing bullying, abuse, or are otherwise in need of assistance. Our goal with STOPit is to create a safer, kinder school community, both online and off. 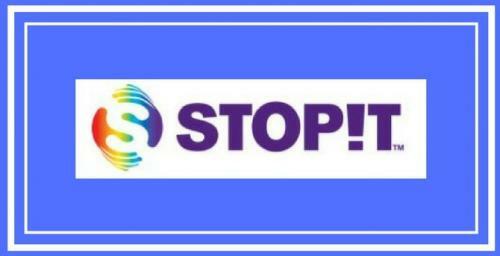 If you have any questions regarding STOPit!, please feel free to contact your child’s campus administrator.